For over twenty years USDA-AIPL and now CDCB have been publishing Net Merit (NM$) values for dairy cattle with US genetic evaluations. Over those twenty years five revisions have been made to the formula, the last in 2010, as new traits have been added, new genetic evaluation methodologies have been developed, and the economics of dairy farming has changed. The next change in the formula will occur in December 2014. 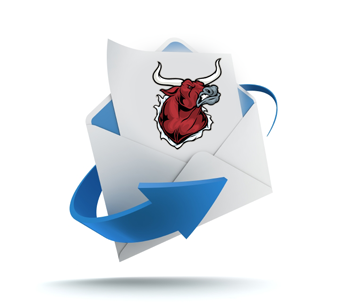 It is important that breeders consider the impact of the coming changes as they review the sire, cow and heifer NM$ indexes on August 12th. Breeder consideration is needed because the matings that are made this fall will have offspring born in 2015 when the new formula will be in place. Obviously the changes in the formula will not affect how the new future animals will perform but it will, however, affect where the animal ranks for marketing purposes and where a herd’s genetic level for NM$ is relative to other herds. Let’s dig deeper and see what changes are to take place and how that may affect current breed leading NM$ sires. The following table compares the weightings, 2010 to 2014 (December), for the components of the NM$ formula. The emphasis on production will increase by 31%, to where production traits account for almost half the weighting. That is a considerable change. Milk and fat yields get all the increase for production. Some breeders have been commenting that milk yield needs to be given more attention given that, in many herds, diets contain a high percent of forage. It is somewhat surprising that protein is dropped slightly, especially when you recognize that cheese holds a big future for marketing milk. To compensate for the increased emphasis on production other traits were reduced. 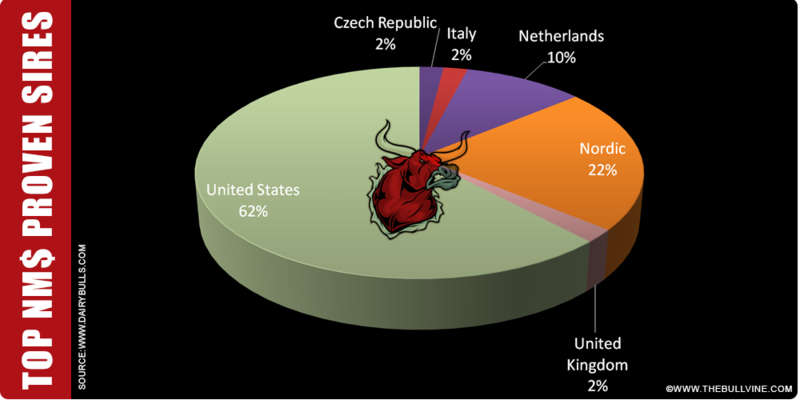 PL (86%), SCS (70%), Type (88%) and Reproduction (88%). Three currently (April 2014) high NM$ proven sires will gain from the new formula. They are: Roylane Socra Robust; Den-K AltaGreatest; and Mainstream Manifold. They are all high production sires, and the new formula will favour them. All three, Robust, AltaGreatest and Manifold will also benefit from less emphasis on their average traits – SCS and DPR. Breeders can expect to see sires that have production indexes below 1500 lbs for milk and 65 lbs for fat drop relative to other sires for NM$. Sires over 2200lbs milk, 80 lbs fat and 55 lbs for protein will rank higher for NM$ come December 2014. Breeders that use NM$ in sire selection should consider discontinue using, after August 12th, sires with low production indexes. 2 Genomic Sires Going Up! Two currently (April 2014) high NM$ genomic sires will be rated higher with the new formula. They are: Cogent Supershot; and Uecker Supersire Josuper. They are outstanding for production. Supershot – 2528 lbs milk, 100 lbs fat and 85 lbs protein. Josuper – 2971 lbs milk, 118 lbs fat and 92 lbs protein. Supershot has good ratings for the other traits so will remain to standout for NM$. Josuper will benefit from less emphasis on traits where he is breed average. 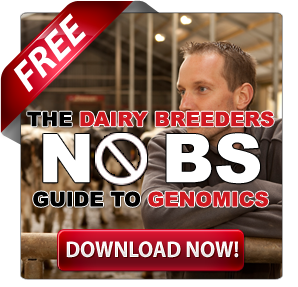 Many current relatively high ranked NMS genomic sires will fall back if they have only moderate milk indexes. Breeders should consider discontinuing the use of genomically evaluated sires below 1600 lbs milk, 85 lbs fat and 60 lbs protein. Current marketed polled proven sires are not highly rated for production, so will not fair well with the new NM$ formula. On the genomic sire side, two high production sires standout as sires that should increase in their relative NM$. They are Bryhill Socrates P (1914 milk 99 fat and 65 protein) and Pine-Tree Ohio Style P (2033 milk, 64 fat and 57 protein). Other sires that will do relatively well under the new NM$ formula are Kerndtway Eraser P, Da-So-Burn MOM Earnhardt P and Pine-Tree Ohare P. Many polled sires have below 1000 lbs of milk and can be expected to drop significantly in NM$ come December. One sire of sons stands out as benefiting, in a significant way, from the new NM$ formula. That sire is Seagull Bay Supersire. His high production numbers put him in an elite status – 2434 lbs milk, 111 lbs fat and 78 lbs protein. The reduced emphasis on SCS and DPR, in the new formula, will also help Supersire, as he is average for those traits. Other genomically evaluated sires of sons, heavily used over the past couple of years, often have been only moderately high for production traits. Included in this category are sires such as Mountfield SSI Dcy Mogul, De-Su BKM Mccutchen and Amighetti Numero Uno. These sires do have some outlier high production rated sons but, on average, the majority of their sons will drop for NM$ come December. With both Robust (sire) and Supersire (son) in heavy use and both benefiting from the new NM$ formula, it will require that top outcross sire and female lines be identified and used in order to avoid inbreeding. That can be accomplished by breeders using both corrective mating and genomic testing. 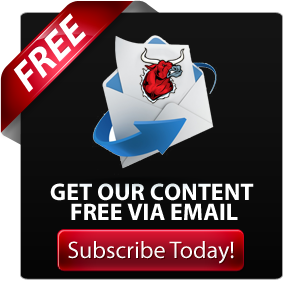 The changes coming for the NM$ formula in December 2014 are not just minor tweaks. Breeders that use the NM$ index in sire selection should be prepared to set aside sires that in the past have had high NM$ ratings but were only average to slightly above average for their production indexes. 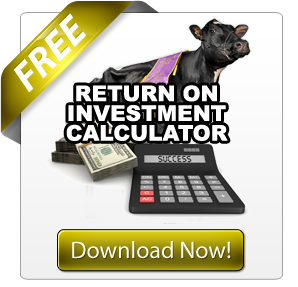 Who Really Has The Best Dairy Cattle Genetics In The World? The amount of bragging and arguing that goes on among breeders about what country has the best genetics in the world is insane. 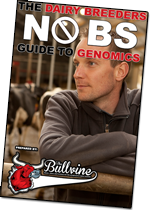 Because many have no actual facts to back up their opinion, the Bullvine decided to take a closer look and see just who does have the best genetics in the world. 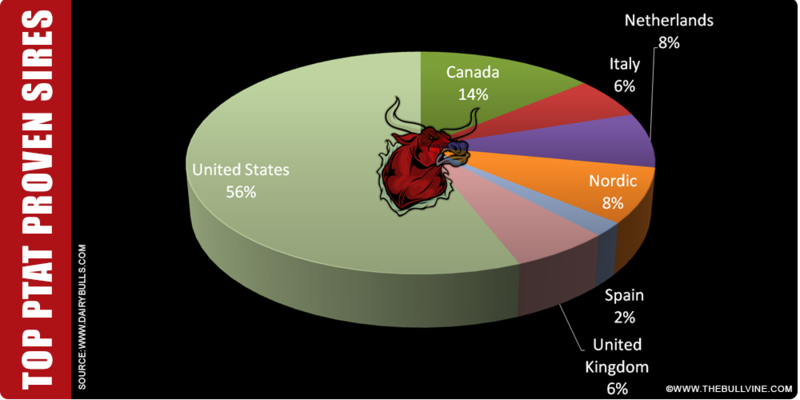 We took a look at the top 50 proven and top 50 genomic sires (where possible) in each of the major north American indexes (TPI, NM%, LPI, PTAT and Conf) to see just what countries have the top bulls on each. We used north American indexes since all other indexes did not publicly provide MACE lists for use to do an accurate evaluation. The following is what we found. 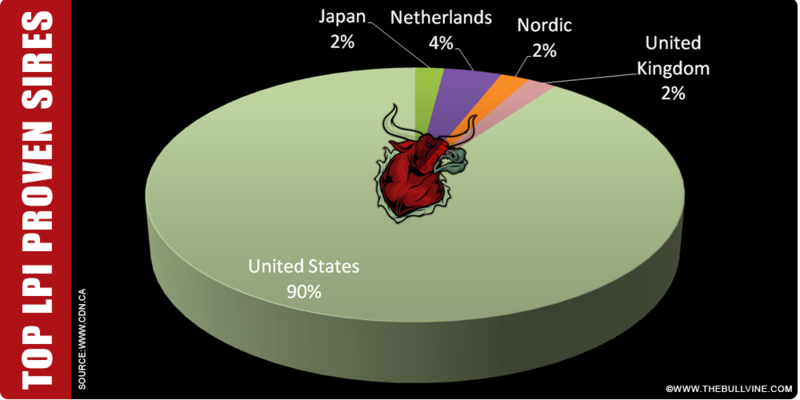 When it comes to TPI, it’s not surprising that the US dominates both the proven and genomic sire lists. Given that TPI is a US based index, it’s only natural that they would have such a large proportion of the list. 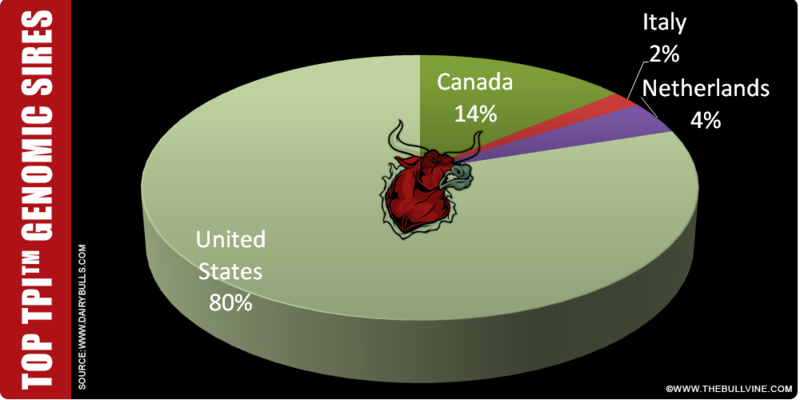 What is interesting about these results is that Canada does have 14% of the top genomic sires. 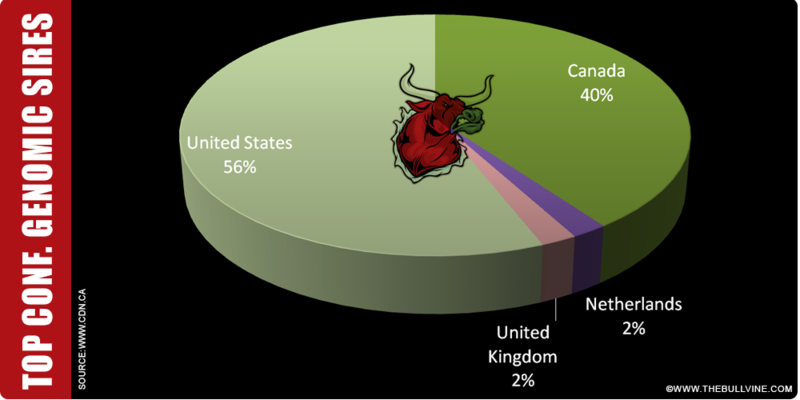 Maybe a sign that Canadians are starting to put more attention into TPI and are adjusting their breeding programs so that they can achieve high ranking TPI animals. 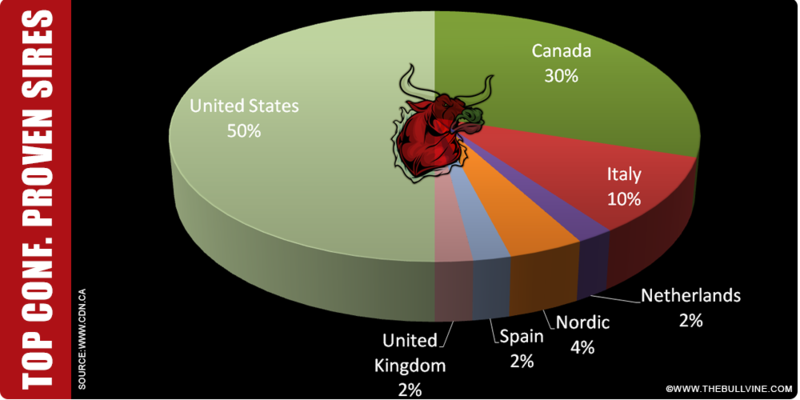 Since young sire information between countries is not readily available, its not surprising the we have mostly US sires on the genomic lists. What is interesting about these results is that the Nordic countries have 22% of the top proven sires for NM$. 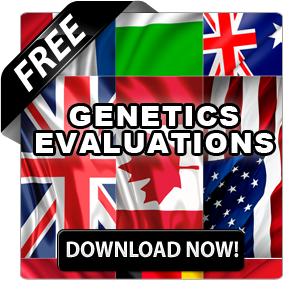 This is a direct result of their heavy focus on health and fertility and thus leading the way in genetic progress in these areas (Read more: What the experts will tell you about who is winning the genetic improvement race). When it comes to type it’s not surprising that Canada makes its strongest showing in this area. 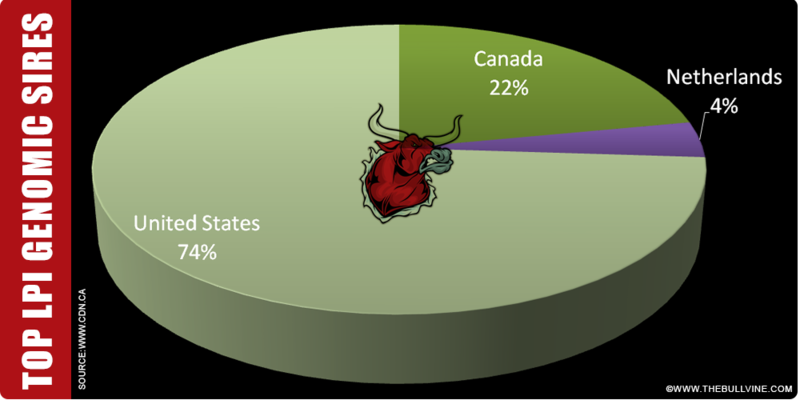 Years of intense breeding for this trait have led to Canada having a larger market share in this area. 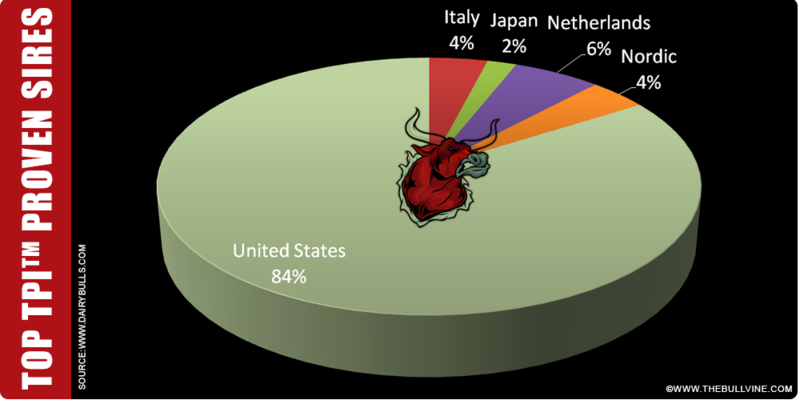 What is also interesting is the diversity of countries that make the top proven sire list. Almost shockingly there are no Canadian bred proven sires in the top 50 LPI sires in the world. 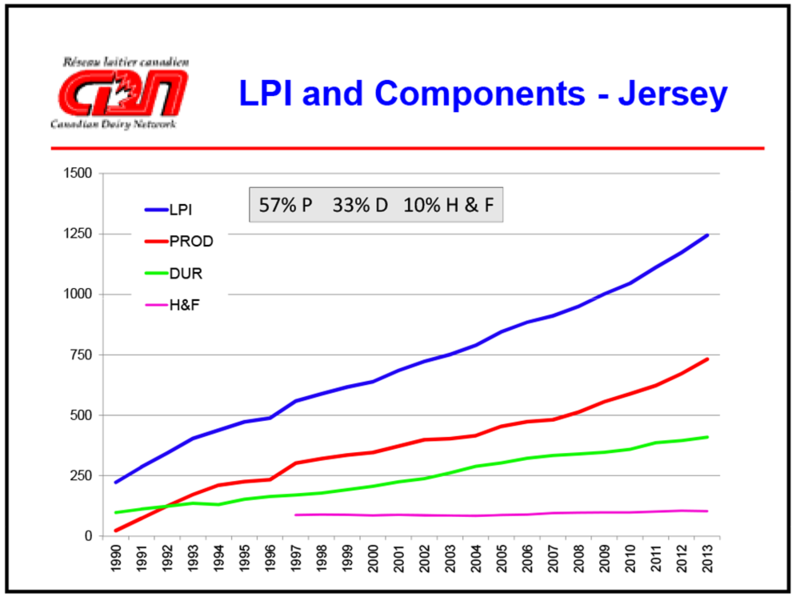 Given that LPI is Canada’s national index you would think there would be at least a few. While the genomic lists do have 22% Canadian bred sires, it shows that in the recent past Canadian’s have been lagging behind other countries. One area that has always been a great strength is the Canada’s ability to breed great type. While they certainly have their largest market share in this area. 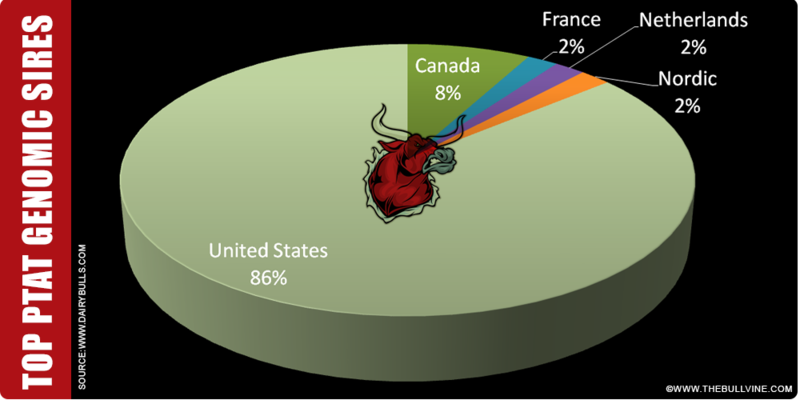 It is interesting to note that the Canada does have more of the top proven and genomic conformation sires in the world. 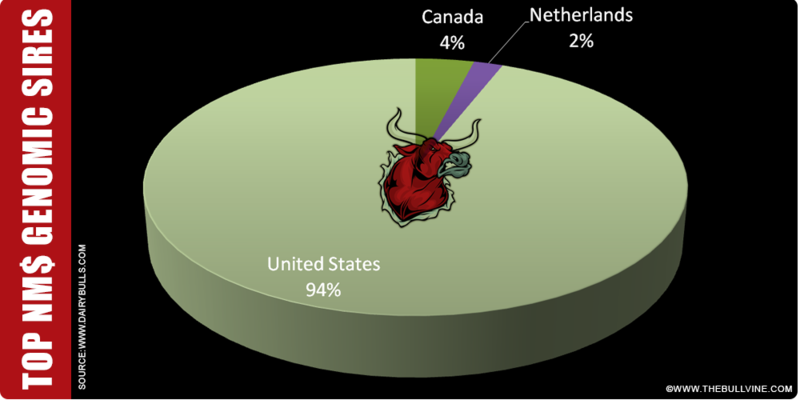 While there is no question that the US has the largest population of dairy breeders in the world, and hence they should have the largest market share, what is surprising is how they have so much of the world’s top genetics. 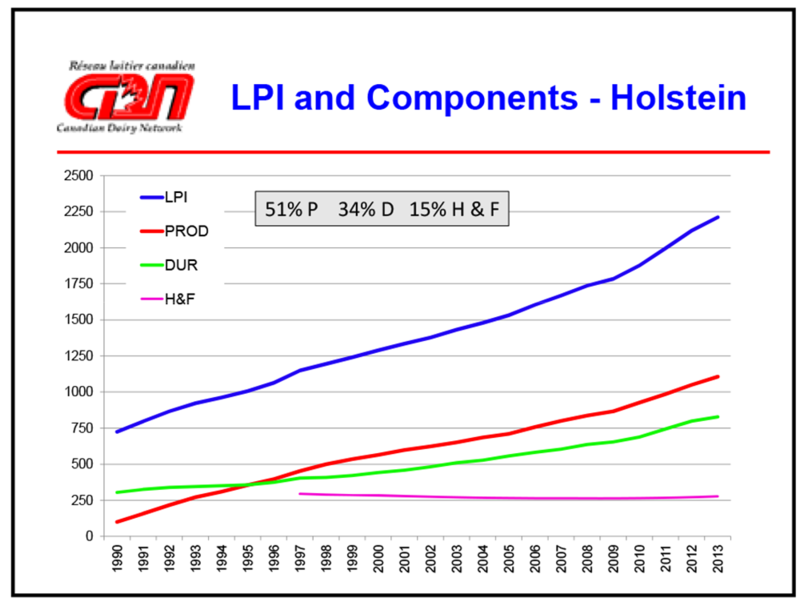 Well beyond just the size of their population base, the US is the world leader in producing top Holstein sires.